Many of you are getting the Windows 10 Fall Creators Update. And every time Windows has a new major version update, we get questions about the Windows.old folder. The Windows.old folder is created when you upgrade from one version of Windows to another. It was introduced in Windows Vista. The Windows.old folder contains all the files, programs and data from your previous Windows installation. In Windows 10, the Windows.old folder makes it easy for you to roll back a major Windows 10 update (like Creators Update, Fall Creators Update) to the previous Windows 10 version without losing any data, programs or settings. Think of the Windows.old folder as an exact image of your previous Windows system. It includes everything from your installed programs, all user accounts, all Windows system files, all users’ files and folders, etc. Everything is in the Windows.old folder. As you might guess, the Windows.old folder can be quite large – 30 to 50 GB. So, it does take up substantial hard drive space. You can’t just right-click on the folder to delete it, but you can delete it. 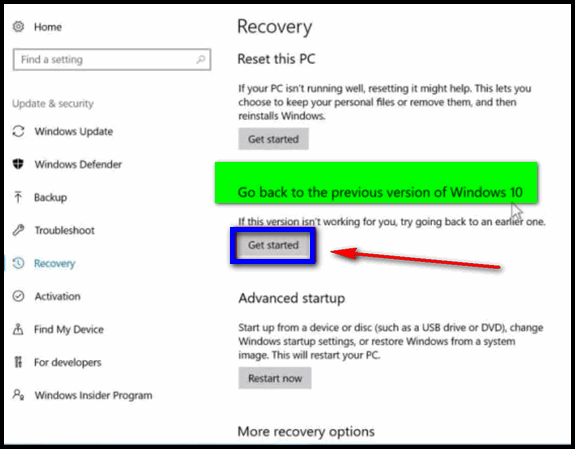 However, we warn you that deleting the Windows.old folder before you’re certain that major Windows 10 version update (like Fall Creators Update) is not causing you any problems, means you will not be able to easily go back to the previous version of Windows easily. 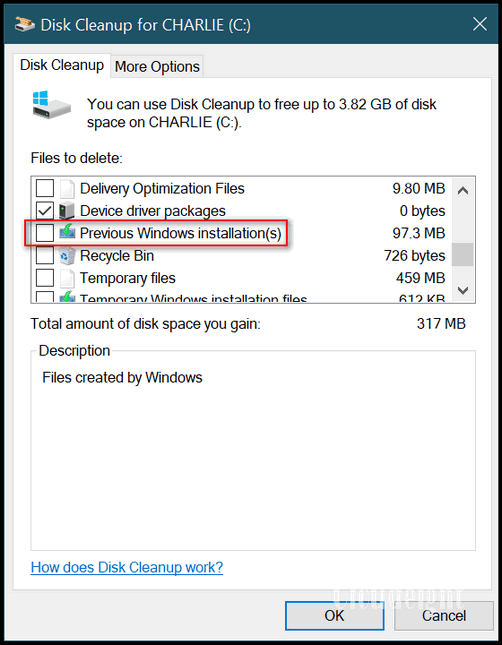 Windows will automatically remove the Windows.old folder after 30 days. Tick the box next to it. And then click OK. It will take some time to clean up the files and the Windows.old folder. You’ll notice that the size of my “Previous Windows installation(s)” files are not very large. That is because I have not yet installed Fall Creators Update on this PC. If you have updated to a new version of Windows 10, yours may be 20 GB, 30 GB or even larger. The Windows.old folder not only contains your previous version of Windows, it contains all your personal files and settings from your previous installation of Windows including: installed programs, all your files and folders, your personalized settings, Windows system files, etc. So be very careful. 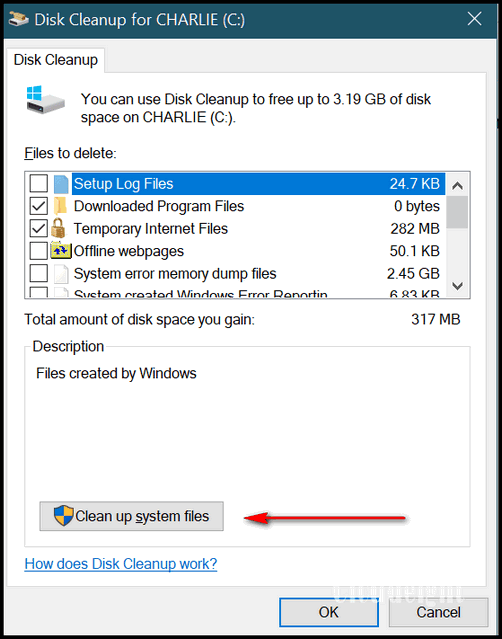 Remove the Windows.old folder only when you are certain that you don’t have any problems with the new Windows 10 version update before you delete the Windows.old file — or you will have no easy way of going back to the previous version of Windows.